※From 14:00 to 11:00 the next day will be the 1 night charge. ※It will be in the order of arrival and can not be booked in advance. 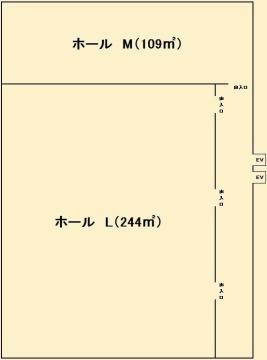 ※However, for heavy-duty vehicles and truck parking, it is necessary to make a reservation by telephone. We have installed one personal computer that guests of the hotel can use freely next to the elevator. We have installed a fax on a public phone. We have installed two in the second floor vending machine corner. 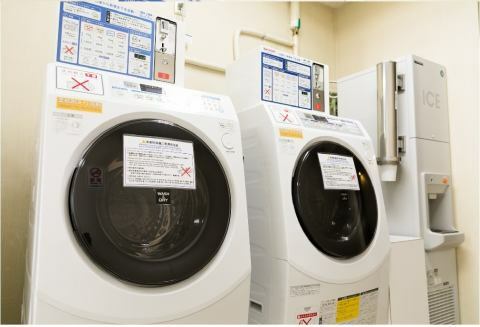 It can be performed automatically from washing to drying. Detergent will also come out automatically. Please use ice cup next to the main body. A multipurpose hall with a maximum capacity of 100 people or more is prepared in the annexe in front of the hotel, TTS Center 6F. Good location, 2 minutes on foot from the nearest station.You can use it in various ways such as various seminars, exhibitions and banquets. There is also a discount plan that will be reasonable with accommodation. The conference room is located at Hotel 2F, and it is versatile. ·, For meetings of up to 100 people and so on. ·, We have two types of L and M available. ·Please contact us separately for the use of parties etc. 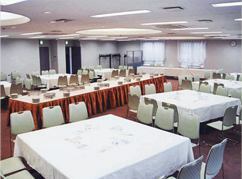 ◆The conference room is equipped with LAN facilities. ◆We have 3 rooms to suit you.